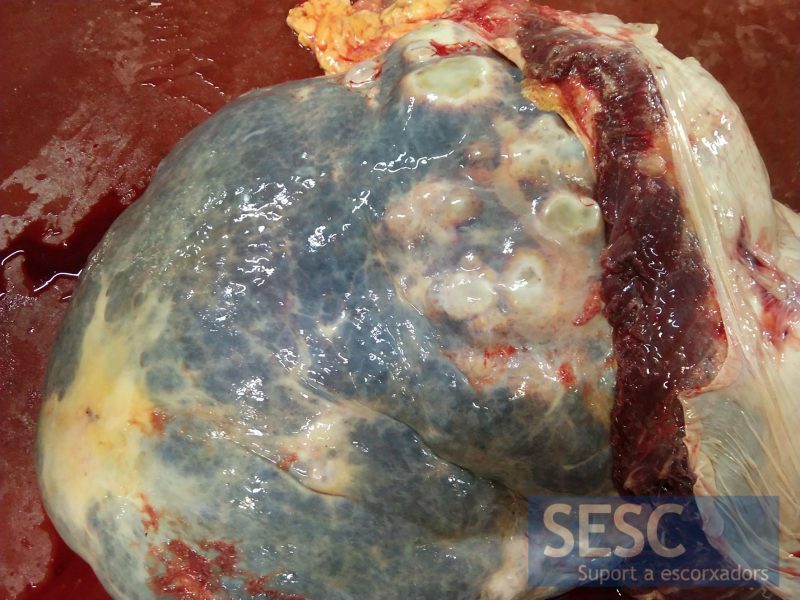 Images were submitted froam a cow with cystic lesions in the liver and lung parenchyma. 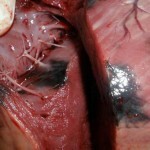 Cavitary lesions in the lung. 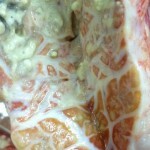 Detail of the liver cysts. 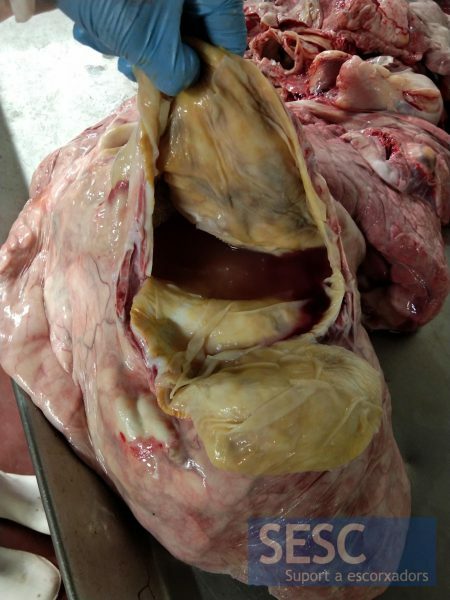 Detaol of the wall of one of the lung’s cysts. Content of some of the vesicles. 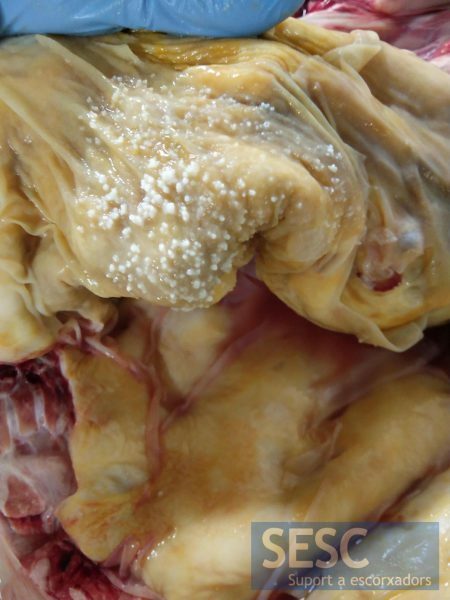 The images are compatible with a parasitic lesion known as hydatid cyst. 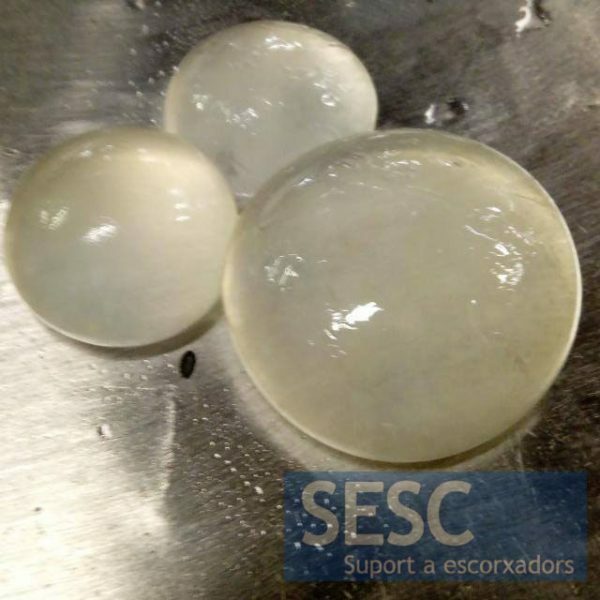 It consists of the larval phase of Echicnococcus granulosus senso lato. 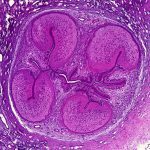 It should not be mistaken for an E.multilocularis case. The explanation would be that E.multilocularis does not make an adventitious layer around the cyst and has a more alveolar and infiltrating appearance in tissues. The vesicles that are seen inside the cysts correspond to daughter vesicles (secondary vesicles). 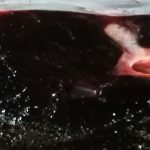 On the other hand, and reinforcing this explanation, in our territory (Catalonia) we do not have presence of this parasite and the cycle of E.multilocularis closes between carnivorous (fox, wolf, etc ...) who are the definitive guests with the Parasite in the intestine that excretes eggs in the feces and rodents (intermediate hosts that develop cysts). Accidentally, man can act as an intermediate host (zoonosis) and it has also been described in domestic species such as pigs or horses. Bravo! You definetely have a parasitologist in you! 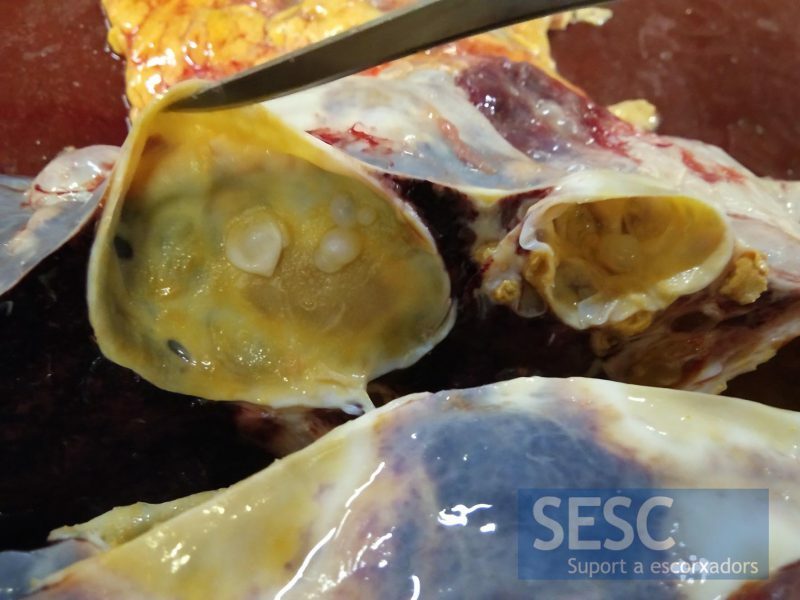 This entry was posted by SESC on 27/11/2018 at , and is filed under Bovine, Thoracic cavity (bovine), Liver (bovine). Follow any responses to this post through RSS 2.0.You can leave a response or trackback from your own site.